Free Spring Printables for Preschoolers - Look! We're Learning! 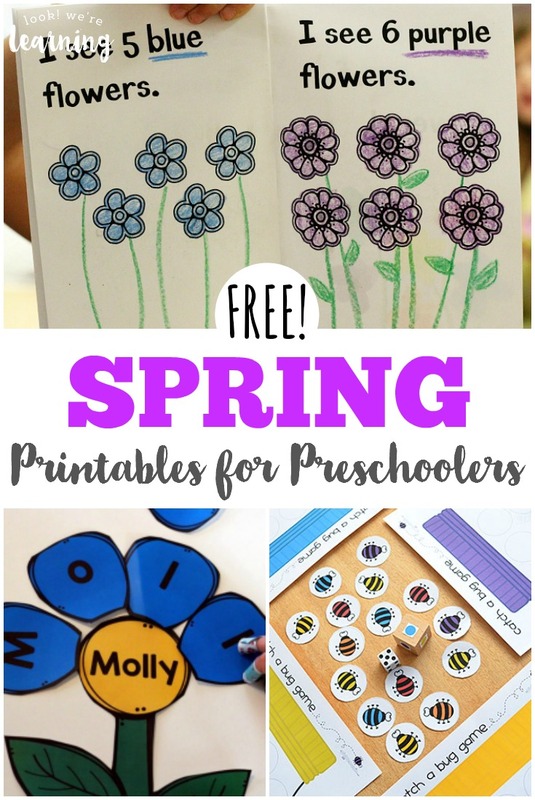 To help her along with her preschool lessons, I use a lot of printables for preschoolers and so today I’m sharing free spring printables for preschoolers that are wonderful for helping young ones work on basic early childhood skills while enjoying a fun spring theme! Check out the list below and be sure to browse our list of spring books for kids that you can read together this year! 1. Birds and Bugs Spring Playdough Mats – Look! We’re Learning! 5. Butterfly Identification Cards – Look! We’re Learning! 7. Spring Sight Words Flashcards – Look! We’re Learning! 10. Over the Rainbow Playdough Mats – Look! We’re Learning! 13. Printable Spring Flower Flashcards – Look! We’re Learning!